Sunburst Decorative Rock wholesales and retails materials for landscaping and construction. gravel, boulders, and various sands. 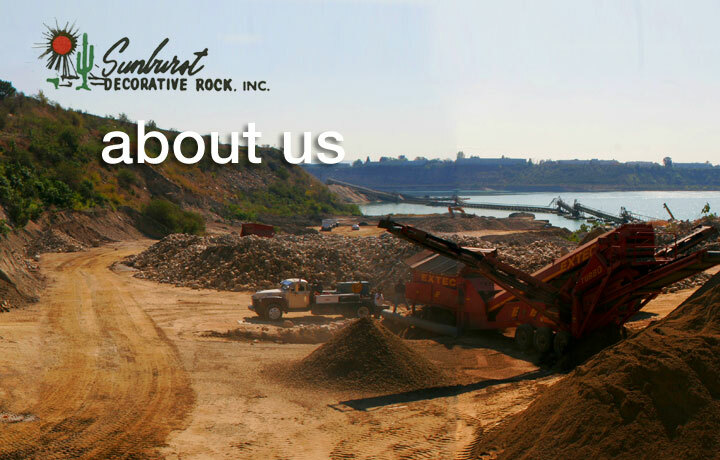 Sunburst was founded in 1949 and originally began off the coast of Redondo Beach, California. The Getty Museum, ABC Studios, and Disneyland. Sunburst remains today a family owned and operated business.